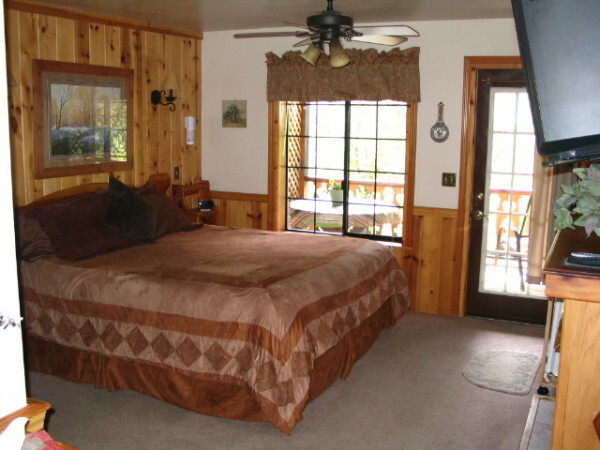 Room 10 is a large room with a king bed, fire place, deck looking over the river canyon. 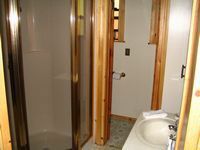 It has a bathroom with shower and hair dryer. The room has a small fridge, coffee pot, microwave and TV with DVD player. It has a double door that opens to Room 11. The deck has a partition that can be pulled back to share with Room 11, but remains completley separate from 11 if you wish. 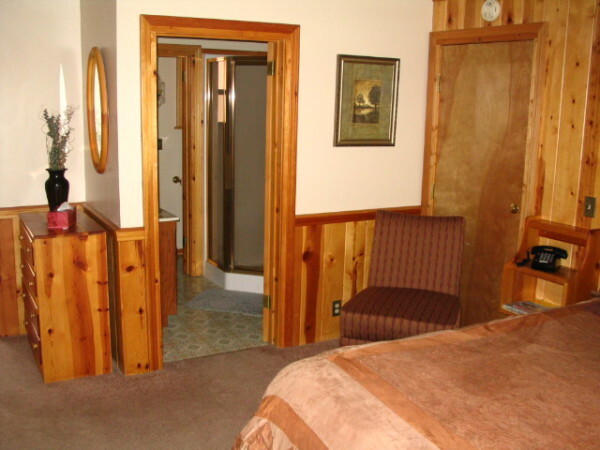 The room is $95.00 per night plus 10% tax. 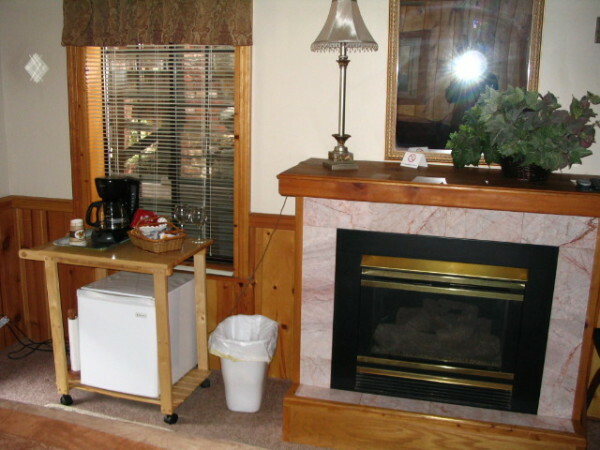 The room is heated by a gas fire place and has a small fridge and coffee pot.